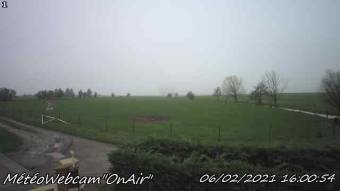 It's 07:08 in Rezonville, France right now. Rezonville: Météo-Rezonville, 0 miles away. Nancy: Place Stanislas, 29.4 miles away. Nancy: A31 près de Toul, Barrière de Péage de Gye, vue orientée vers Dijon, 29.4 miles away. Nancy: Palais du Gouvernement, 29.4 miles away. Apach: Apach Locks, 30.9 miles away. Luxembourg: Luxembourg Airport, 36.2 miles away. Mettlach: Saar Loop at Mettlach, 38.5 miles away. Püttlingen: Köllerbach-Herchenbach, 42.7 miles away.